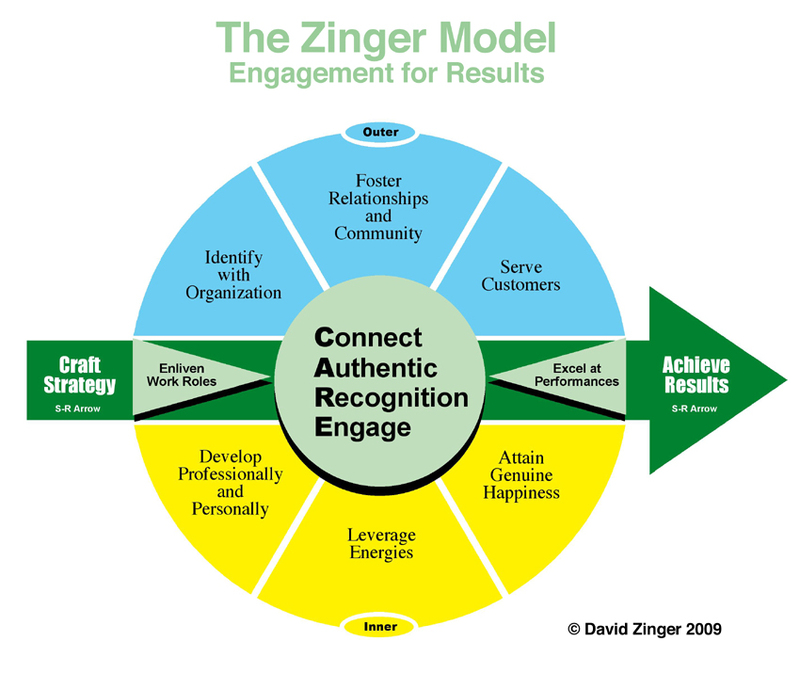 Unveiling a new comprehensive model for employee engagement from David Zinger. Sneak preview. Here is a sneak preview of David Zinger’s new model for employee engagement. Click on the model itself for a larger version. details on how we develop each part of the model. Comprehensiveness. I believe this model will play a vital role in achieving results while also contributing to comprehensive employee engagement for the benefit of all. Additional changes. This website will be revised later in September 2009 and all future articles will demonstrate how they contribute to making this a successful model for employee engagement.